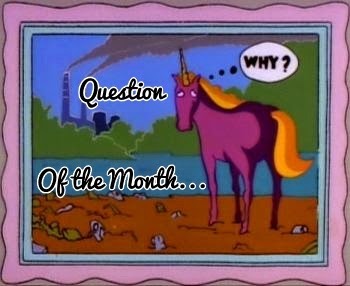 This month's question is a simple, easy one. Actually, I have two favorites for different reasons. The first would be Magens Bay, St. Thomas, US Virgin Islands and the more reasonably, flipsider beach would be South Nags Head or the Outer Banks of North Carolina. Have you SEEN Magens Bay? If not, you're missing out. Located on the north side of St. Thomas in the Caribbean, you'll find one of the most beautiful, white sandy beaches in the world. The water is a gorgeous azure that offers a mind blowing effect of calm and tranquility. Turtles and conch are easy to find, snorkel faced peeps. Palms and mangroves line the beach. I knew I had a thing for my Hubzam to be when I had to call him from Magens Bay; I couldn't believe that I had ended up on such a beautiful beach and he was back in his office in the mighty state o' Tennessee. Amassing a mess of coinage, I called him from a pay phone (yep...pay phone...we used to have 'em, kids, turn left at the dinosaur). He wasn't in. So I left a message with the secretary that made him "office famous" with all the chicks. I'm nice like that. When the family heads to the beach, we rent a beach house. Our current day vacations are all about rest, relaxation, and roaming the beach. Our geeky selves love that there's so much history in that area, so side trips are easy, fun, affordable and CLOSE. Past geek fun has included hunting down two local authors and making them defend their Roanoke Island theories (hey, one showed me his artifact haul!). I'm weird like that. As Al Penwasser would say: because science (and now...because history). But for this year, it was staycation not vacation and this is reminding me of that fact! We survived graduation, surgery, PT, company, and we MOVED! Hurray! I'm finally finding normal! Glad to tag along on this "hop." Now check out the other participants and come back next month for our "question of the month!" Magens Bay looks enticing all right. I've been to the Outer Banks, but not South Nags Head. Magens Bay looks amazing. I remember the water being such pretty colors in Hawaii as well. Those beaches with the azure water are tops! Cancun is like that, without the scenery. Those are both lovely places. Especially when they're so empty. If only they remained that way while I visited. My favorite beach was on St. John's Island in the US Virgin Islands. The snorkeling was incredible and thew sand incredibly white. I didn't get to go to St. John's but I've heard it is fantastic. 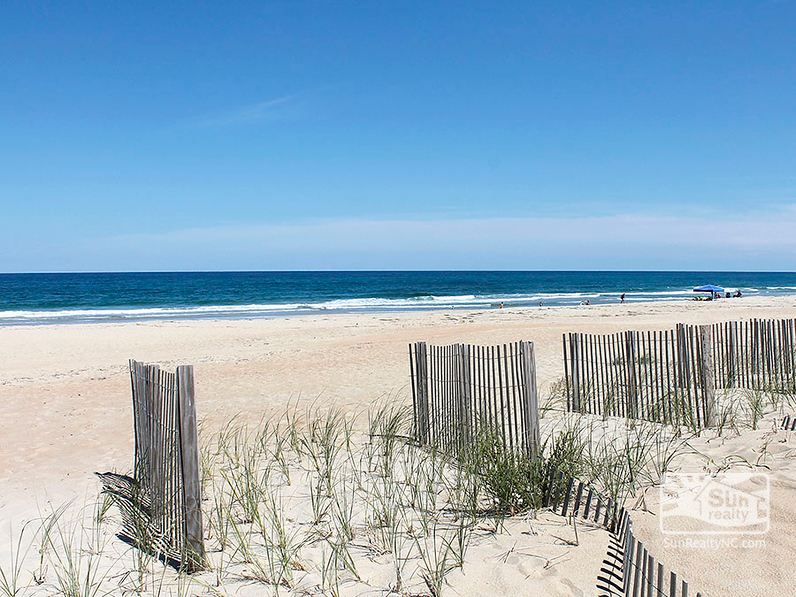 I will admitt that the hubs and I do enjoy escaping to Nags Head at least once a year. It's where we were able to squeeze in a honeymoon weekend, all those years ago. Nags Head is great, Toi! Nothing to complain about there, eh? Thanks! Oh beautiful, lovely and wonderful ! When I lived in Laguna Beach I did get a chance to live steps from Crescent Bay. Lots of seals braking and pelicans gliding past my deck and windows. I miss living there so much. I'd love to see seals lolling about on the beach. East coast beaches dont' get much seal action. Hugs to you and thehamish! I like your geeky history excursions. Those beaches sound lovely. Truthfully, the "side trips" are so much fun! I'm missing out. I've never seen Magens Bay. The photo is beautiful. If we could sneak out of all this "life" stuff, we could go there. If I have a vote, you're going right now, Susan! LOL. What's not to like about a beautifu beach? Let's send everyone! Where's Oprah when we need funding? I used to visit Lake Erie, too, Birgit! Folks don't realize how great those Great Lakes are, do they? Thanks, buddy! Lovely pictures. And the stories attached are just as lovely. It is not surprising that you enjoy these scenic spots. To my mind, this is a great place to relax and be alone with the nature and yourself. Renting a beach house allows you to spend a lot of time with your family without stopping for transportation and travel to the resting place. BOTB Results: "Somewhere Only We Know"